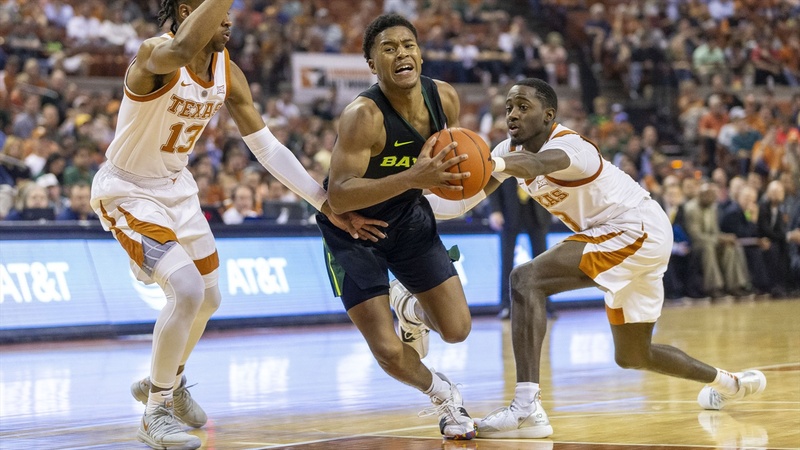 Baylor (15-7; 6-3) drops a road game to Texas (13-10; 5-5) 84-72 in Austin. The Bears need to rebound to face Kansas State Saturday night in Waco to reclaim a share of first place in the Big12. The Bears as always showed a lot of fight to the end of the game. Career high in scoring for Mark Vital (14 points). Freddie Gillespie gave good effort and energy off the bench (7 points; 4 rebounds). Drew said in post game that Makai Mason hurt his foot in practice Monday. It showed. Stay healthy Makai! Sloppy with the basketball in the first half. 8 turnovers and 14 personal fouls which gave Texas a 19-8 advantage in free throws. Defense was disappointing. Perhaps it was more a credit to Texas. But Texas looked very comfortable on offense. Bears dropped about 14 spots in KenPom in defensive efficiency by allowing Texas to shot 55% from the field and send them to the line an incredible 34 times. Those free throw attempts are rare outside of Allen Fieldhouse.